Either in store or in the comfort of your own home, our experienced design consultants will chat to you, find out about how we can fully customise our service around you. So we can create the perfect layout within your budget. We are always pleased to help you experiment with ranges, colours and swatches to pull together an inspired styling scheme. 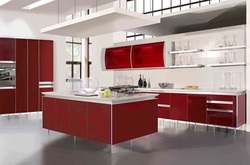 Click through our images below and take at all of our kitchen design ideas. Whatever your budget, we're here to help you create a kitchen you'll love. We organise all the aspects to your new project. Our team will go out of their way to make sure that everything happens in the right way. We will take care of everything, from dismantling and taking away your old kitchen to getting all installed applicances setup, so there is nothing for you to worry about whatsoever. Ever seen home improvement companies quote for a job and then add on “extras” throughout the job? We believe in being totally honest and totally upfront with our costs. We can guarentee the price you see is the price you will pay, with no extras or nasty shocks. Everything on our quote will be explained clearly – If you are not quite sure about something, please just ask us to elaborate. 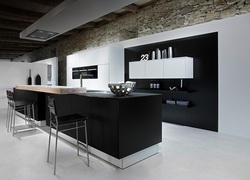 Here at B Kitchens we can design, install and plan your new kitchen, bathroom or bedroom with you in mind. We are always freely available to give quotations with absolutley no obligation to buy.